The US Forest Service is adjusting campfire restrictions and closures on the Superior National Forest. The Forest Service will re-open the Kekekabic Trail and associated trails to public use beginning May 5, 2010. Also beginning Wednesday May 5, 2010, campfires will be allowed any time of day ONLY in designated fire grates in developed campgrounds. 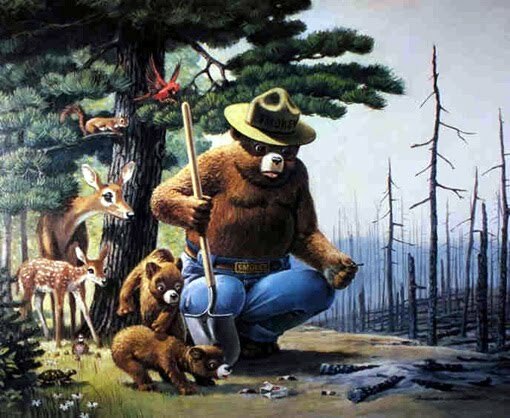 On all other Forest System lands, roads and trails, within the boundaries of the Superior National Forest, building, maintaining, attending or using a fire, campfire or wood/charcoal burning stove continues to be prohibited. The prohibition on campfires, charcoal and wood-burning campstoves includes the Boundary Waters Canoe Area Wilderness. Gas and propane stoves are permitted anytime of day in any area of the Superior National Forest, including the Boundary Waters Canoe Area Wilderness. Forest managers are making this change in response to recent precipitation and green growth in northern Minnesota which has decreased fire danger in many areas. Conditions in the Arrowhead Region continue to contribute to high fire danger and the need to reduce potential human-caused fires. Previously, due to extreme fire danger across all of northern Minnesota, the Forest Service had prohibited campfires, charcoal and wood-burning campstoves in all areas of the Superior National Forest and the Chippewa National Forest and closed the Kekekabic Trail system. Restrictions on the Chippewa National Forest have since been lifted.